Based on feedback from customers, we have added a metal curtain clip with a ring attached to the drapery hardware offering at Curtain-Tracks.com. The plated steel curtain clips with rings make it easy to hang a curtain or backdrop that doesn't have pleats, grommets, or other means of easily attaching a hook. The clips can be added directly to the top edge of a curtain and the rings can be looped through the holes in most curtain carriers or glides. These curtain clips can be great to hang flat curtains with pockets intended for use with curtain rods from curtain tracks instead. 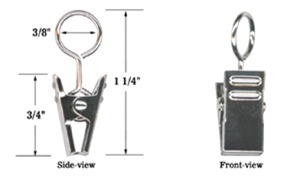 These curtain clips eliminate the need to buy hooks and clips separately. They come out of the package ready to add to a curtain glide or carrier. This allows a curtain, backdrop, sheet, or tarp to be quickly hung with no sewing required. For some, the convenience of a quick and easy attachment is a priority, and these curtain clips meet that need. The rings do have to be opened and closed with pliers. The rings can also be bent to rotate if you require a different orientation of the clip relative to the carrier for those that do not rotate in their respective tracks. Some curtain carriers or glides rotate or offer a swivel, while others maintain a fixed orientation. 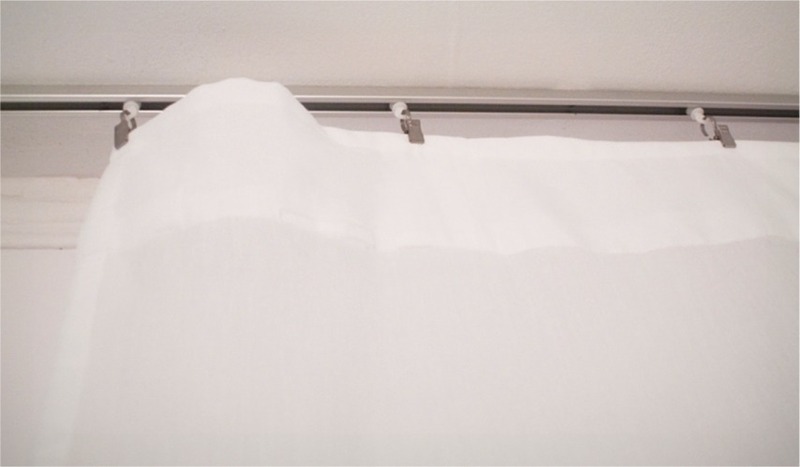 By adjusting the relative position of the curtain clip to the carrier, you can modify the way the curtains hang. The rings are large enough to accommodate most curtain carriers or glides that accept curtain hooks. If you use these curtain clips for an upcoming project, we would love to see them in action. Please feel free to submit a photo of your project so we can add it to the gallery or discuss it on this blog.